I often find myself digging into a fictional character's psyche to try to figure him or her out. Perhaps it's the background I have in psychology that compels me to analyze the personalities of book, cartoon, comic, or TV show characters. When my thoughts turned to the Peanuts characters, starting off with Charlie Brown himself, I began to think about which personality disorder he might have if diagnosed. Pretty random, I know. Before long, I concluded that each of the characters in this comic / cartoon also exuded characteristics of the different personality disorders identified by psychologists and psychiatrists today. Charles Brown ~ Charles (Charlie) Brown is the main character in the Peanuts comics and cartoons. 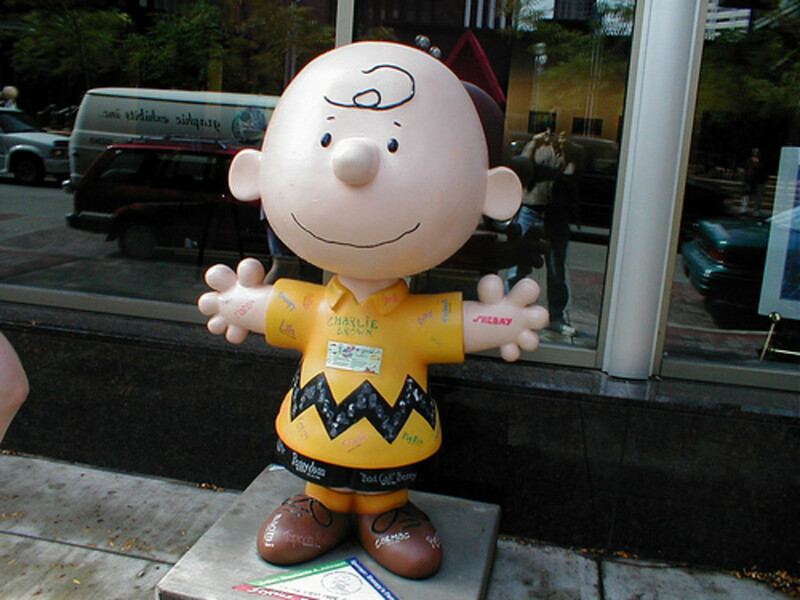 A lovable guy who is dominated by insecurities, Charlie Brown is often ridiculed and taken advantage of by his peers. Charlie is often humiliated, resulting in constant usage of his two favorite words, "Good Grief!" This leads me to conclude that Charlie Brown was suffering from Avoidant Personality Disorder (APD). People with APD are anxious about everyday situations. They constantly feel inadequate and inferior and have a fear that others perceive them that way. In addition, people diagnosed with Avoidant Personality Disorder have a small circle of close friends and are inept in social situations. Linus van Pelt ~ Linus is Charlie Brown's best friend and is often seen with his security blanket. Despite his attachment to his blanket, which his sister is always trying to rid, Linus is one of the brightest of the group. 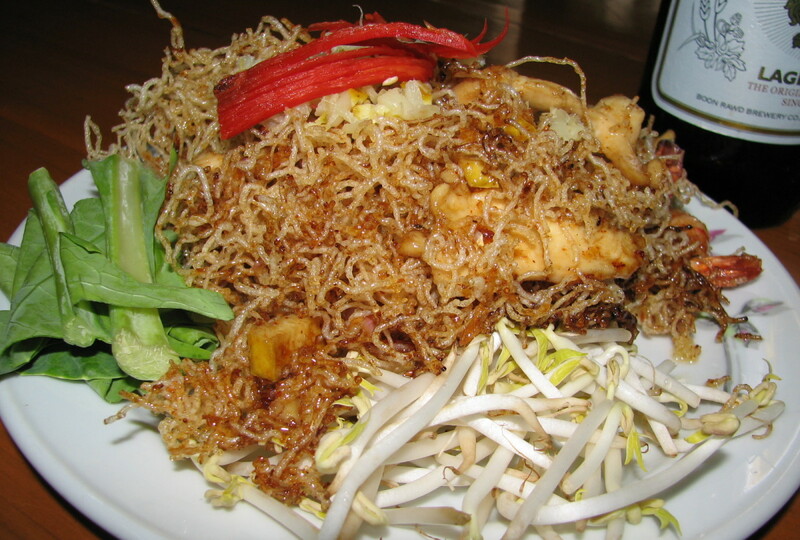 He is considered the group's philosopher. In this sense, Linus is gifted. Unfortunately, he also portrays a characteristic that is common for those suffering from Schizotypal Personality Disorder (SPD). People who are diagnosed with SPD have perceptual abnormalities where they often see shadows and things that others don't see. 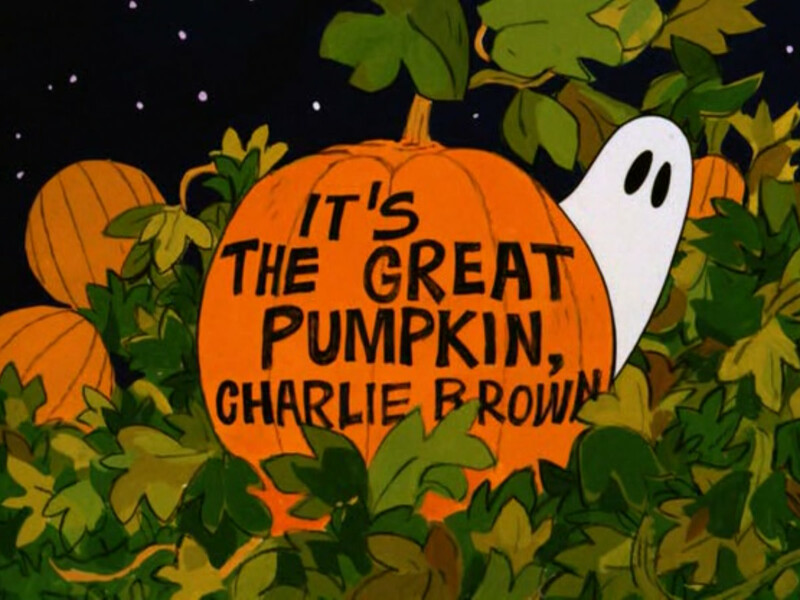 Linus is the only Peanuts character that believes in the Great Pumpkin. In his mind, the Great Pumpkin appears annually on Halloween and gives out presents. Linus van Pelt is a gifted child suffering from Schizotypal Personality Disorder. Lucy van Pelt ~ Lucy is Linus' grumpy, bossy sister. She often bullies others. 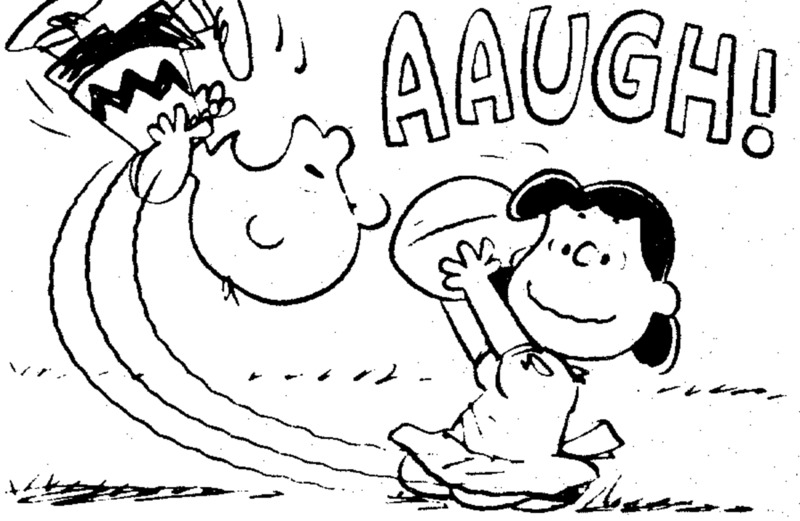 A recurring scene in the Peanuts strips was Lucy holding the football for Charlie Brown to kick. Without fail, Lucy would pull the football away just as Charlie got ready to kick it, causing him to miss and feel humiliated. Lucy will also torment Linus physically and mentally. Despite this tough exterior, Lucy is also very insecure and has very low self esteem. She is always seeking compliments from Charlie and Linus, however, when their comments are not positive, she will either sink into depression or start screaming at the two boys. Lucy's behavior is best aligned with people who have Borderline Personality Disorder (BPD). BPD causes people to have extreme moods which change quickly. They have a hard time calming down once they are upset and tend to have impulsive, angry outbursts. Borderline Personality Disorder patients often have a polarized view of the world. Schroeder ~ Of all the peanuts characters and one of Charlie Brown's closer friends, Schroeder is the most artistic. He has an obsession with Ludwig van Beethoven and is an expert at playing the toy piano. Schroeder tries to ignore and avoid Lucy because she has a major crush on him. She is constantly leaning on his piano to the point where he begins to yank the piano out from under her and walk away. 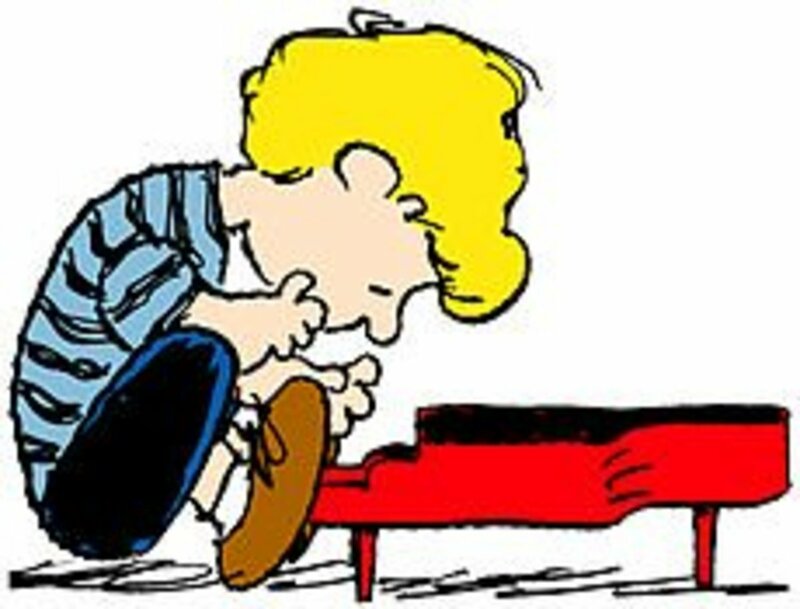 When the Brown family moves away in later years of the comic, Schroeder actually admits that he missed Lucy and that he had a tough time playing the piano without her. In fact, his piano playing declined significantly after Lucy moved away. This leads me to some of the signs of Dependent Personality Disorder (DPD). People who suffer from this disorder are clingy and submit to others' desires. They feel a strong need to be taken care of by others. Although this might be a stretch, let's just say that Schroeder has these tendencies and is somewhere in the range of Dependent Personality Disorder characteristics and symptoms. Schroeder also depends on his piano as a security blanket. When given the opportunity to play a real piano, he failed miserably and immediately went back to his toy. It gives him a certain feeling of comfort. 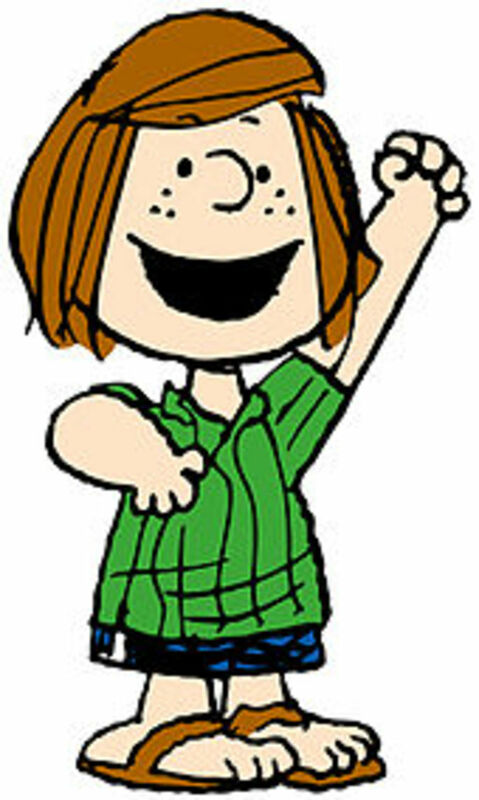 Peppermint Patty ~ Patricia Reichardt, aka Peppermint Patty, is a tomboy who refers to Charlie Brown as "Chuck" and Lucy as "Lucille." Peppermint Patty is the athlete of the group. She is aware of how good she is. When she first came to join Charlie Brown's team, she was the star pitcher who relegated Chuck to the outfield. Later on, her own baseball team from across town where she lived, played against Charlie Brown's team. During this game, Peppermint Patty's team lost despite her ranting and raving and showing off her skills. The area of academics is where Peppermint Patty needs help. She doesn't understand concepts and often pretends to know so much that she ends up embarrassing herself. Much like people who are diagnosed with Histrionic Personality Disorder (HPD), Peppermint Patty is dramatic and loves to exaggerate. Due to her lack of cognitive abilities, however, she comes across as vague, shallow and lacking significant details in what she has to say. 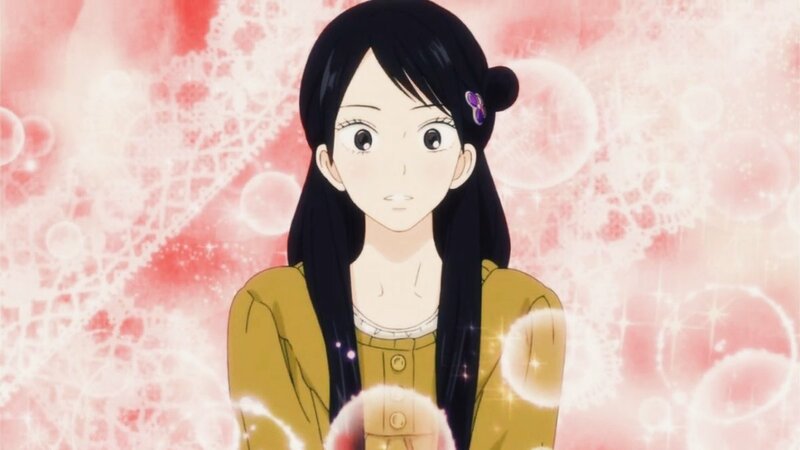 She can also be seen as a character who is so extroverted she doesn't like to be alone, which is another characteristic of HPD. Histrionic Personality Disorder patients are also very flirty and seductive. One can conclude, from reading the comic strips, that Peppermint Patty does flirt with Charlie Brown, her crush. She is often seen with her best bud, Marcie. Marcie ~ The only Peanuts character who wears glasses, Marcie is Peppermint Patty's best friend who also has a crush on Charlie Brown. However, she doesn't flirt with him but says it like it is...she actually flat out asked him what he thought about her. She can be brutally honest. When she gets frustrated or upset, she tends to exude violence. During one scene, Marcie got mad at Charlie Brown and kicked him in the shins. Marcie is a studious individual who does well in school and is the overachiever of the group. Of all the characters in the comic, Marcie is the one with the most parallels with Antisocial Personality Disorder. When she strikes out at others verbally and physically with charm and wit, she shows the signs of having Antisocial Personality Disorder. People who suffer from this disorder are good at putting on a mask and acting. Although Marcie's behaviors are more civil than criminal, she can still come across as violating and manipulating others' rights, especially when she is angry. Sally Brown ~ Sally Brown is Charlie's younger sister. She is downright laid-back, which comes across, often times, as laziness. She likes to just cruise through life without putting forth much effort. She also has a tough time when she has to give oral reports as she struggles with malapropisms. She confuses her words and ends up sounding very funny when giving her presentations, like, "Santa Claus and his Rain Gear." Sally is at the bottom of this list because of all the characters, she doesn't quite fit into a personality disorder. The best I can do with Sally is diagnose her with Specific Learning Disorder or SLD rather than a true Personality Disorder. This means that she needs special education support, specifically for her reading and writing difficulties as shown by her many goof-ups during school. As I think about Snoopy, Charlie Brown's pet beagle, and his best friend, Woodstock, I find it difficult to determine if they even have personality disorders. Snoopy lives in fantasy world and tries to live out his fantasies all the time. His dreams range from being an ace bomber pilot to being Joe Cool when he constantly sported sunglasses. Woodstock is Snoopy's buddy who has a hard time doing what birds do...flying. He follows Snoopy around and becomes a part of Snoopy's adventures as he lives out his dreams and fantasies. Nothing wrong with that!! Lucy Van Pelt: Are you afraid of responsibility? If you are, then you have hypengyophobia. Charlie Brown: I don't think that's quite it. Lucy Van Pelt: How about cats? If you're afraid of cats, you have ailurophasia. Lucy Van Pelt: Are you afraid of staircases? If you are, then you have climacaphobia. Maybe you have thalassophobia. This is fear of the ocean, or gephyrobia, which is the fear of crossing bridges. Or maybe you have pantophobia. Do you think you have pantophobia? Lucy Van Pelt: The fear of everything. & also you hit that nail hard. Extreme outburst of anger very hard to calm down. Just some of our symptoms- we're completely nutts most of the time. I'm so sick of hearing people describing someone whos in a bad mood as bipolar. Huh clearly aint heard of nor do they know what BPD is. I read an article long ago that said Charles Schulz claimed to have patterned Charlie Brown on a coworker at a correspondence art school he worked at before making it big with "Peanuts." Other sources say he claimed to have based the character on himself. But the continued popularity of Peanuts probably means we see a bit of ourselves reflected in the hapless but good-hearted little guy. video is very funny.please add more animated video and cartoon. ladyjane1: Thanks for the compliment and the vote. Aren't the kids just a little dysfunctional in the cartoon? I love 'em all though! It wouldn't be interesting if they weren't just a little quirky. Thank you for reading the hub and I'm glad you got a kick out of it! Oh my this was absoulutely brilliant. Best hub I have read in a long time and I have read plenty. It held my interest, it was very engaging and funny!!!!!! I always thought that these kids had "issues" thanks for bringing them to light in such a creative way. Voted up and shared. Bravo. Cheers. LOL Funny. What a great hub diagnosing the Peanuts gang. I would have to disagree with your description, however, about the BPD-Borderline personality d/o. I too have a background in mental health. A BPD is a person who has separation issues and are frequently threatening suicide; while the 'mood switches' that you describe are actually a Bipolar D/O--someone who has highs and lows which create an unstable mood that often interferes with interpersonal relationships. I enjoyed your hub and voted it 'Funny'. 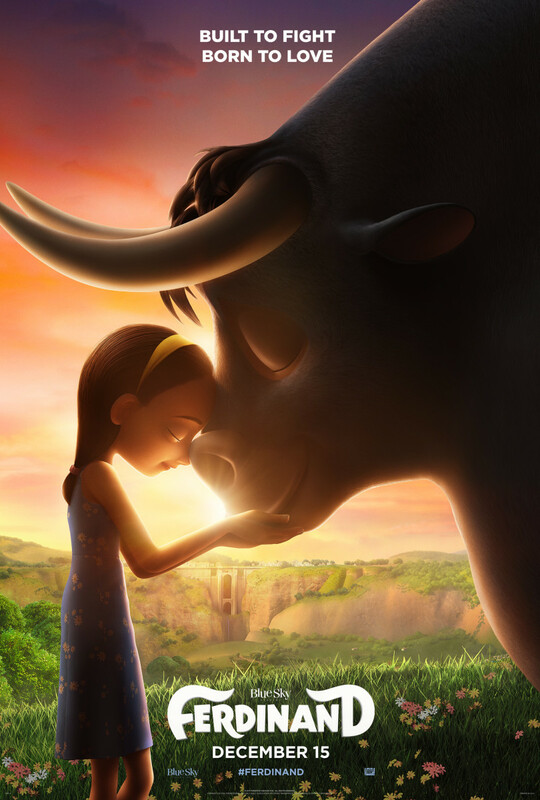 OrlandoC: Thank you for reading this hub. I'm glad you enjoyed it. I love them as well...free spirit in their own ways. Great! Great! Great! Not a lot of hubs hold my full attention like this one. I love those "crazy" Peanuts kids.